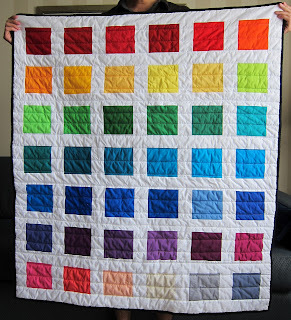 As a relatively new quilter, I distinctly remember the terror I faced when contemplating the notion of throwing that first finished quilt in the washing machine. While doing the tour of the online quilting community, I kept hearing about the crinking that happens when you wash a quilt. The consensus seemed to be that it was good but I loved the way my quilts looked pre-wash and wasn't sure that I'd agree. To help other new quilters who aren't sure what to expect, I thought I'd give you a before and after comparison of my A First Lesson in Colour baby quilt. The crinkling is caused when the batting shrinks during the first wash. I used Quilter's Dream Wool batting and it changed quite a bit after a pass through the machine. 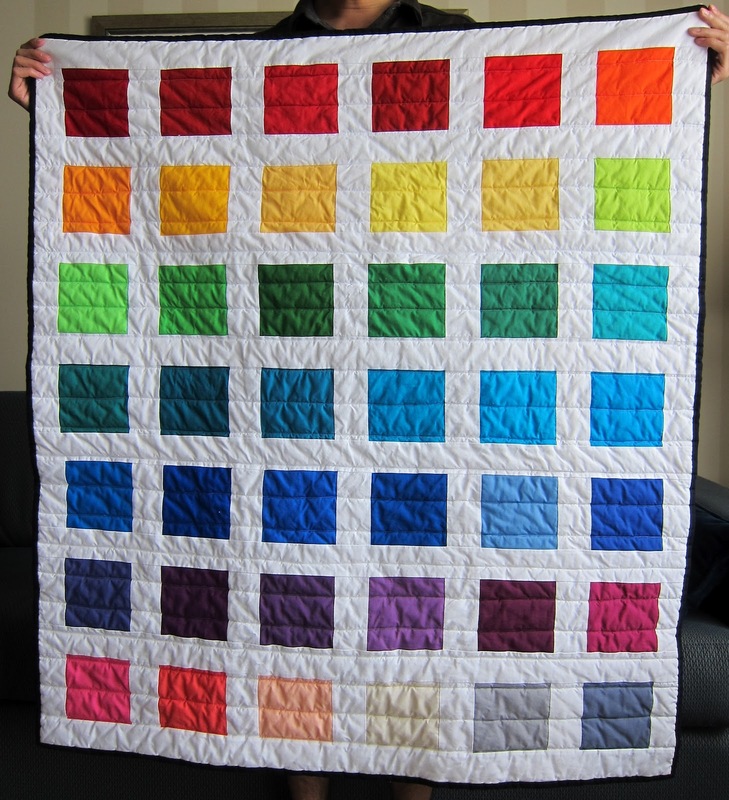 With this particular quilt, the crinkling ended up softening the overall appearance of the bright high contrast colours and geometric construction. It really changes the texture of the quilt but I'm starting to fall for the crinkly finish.